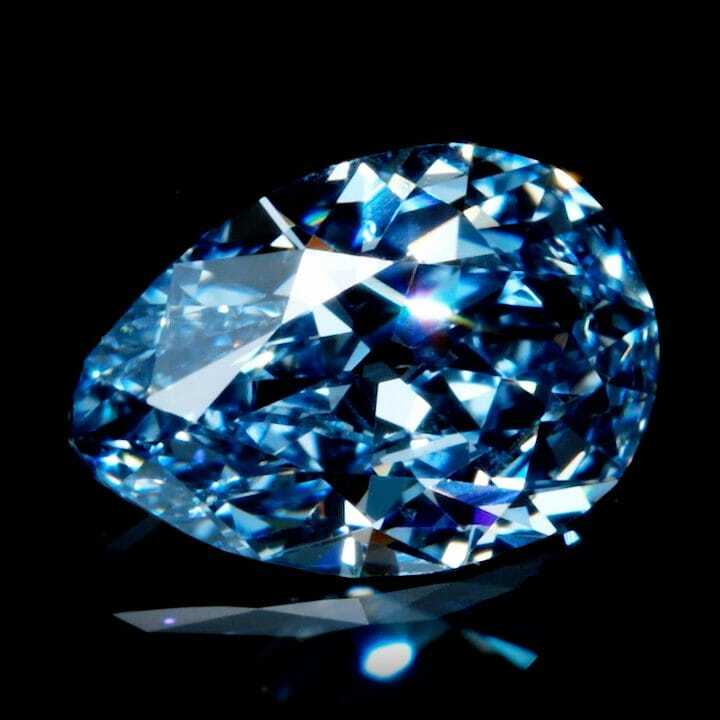 Like a delicate teardrop, the beauty of this near one carat diamond lies in the unusual Fancy Vivid Blue color and its VVS1 clarity. The gentle cornflower shade and precise pear share cut is elegant and refined. Striking and bold like a fiery flame, this vibrant Fancy Red diamond is a natural sensational phenomenon. The exciting exotic color make this a true collector's item. Blazing as bright as the brilliant sun, this Fancy Vivid Yellow of over 10 carats from Sierra Leone is perfect in its cut and polish. The powerful color symbolizes energy, happiness and warmth. Desired by many for its unique powder pastel soft shade, the allure of this Fancy Blue cushion cut diamond of over 2.5 carats is bewildering. The solid tone of the mellow hue makes for it to be a dynamic and paradoxical beauty. A Brazilian beauty, the cushion-cut Fancy Vivid Green diamond is one of the most breathtaking of its kind. 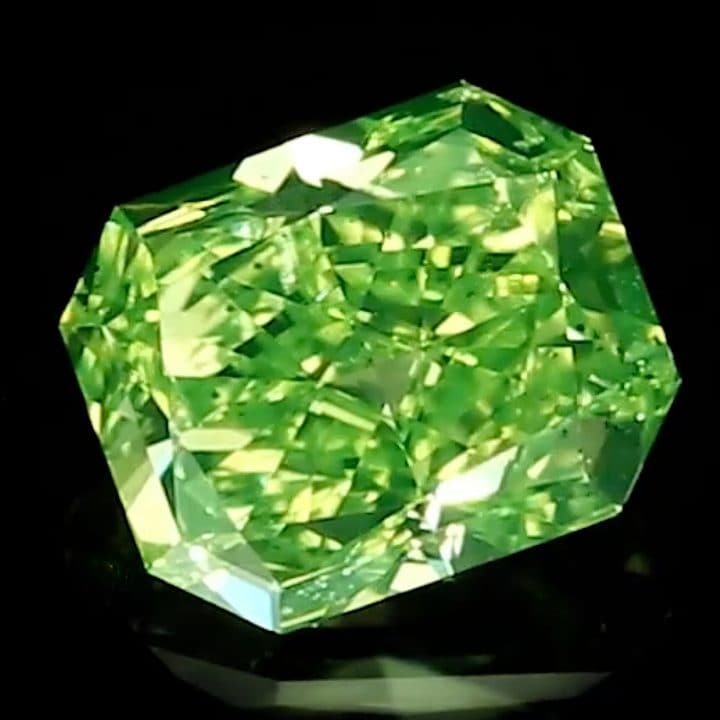 The luscious green color is intensely saturated, being a highly sought after quality in stones of this sort. 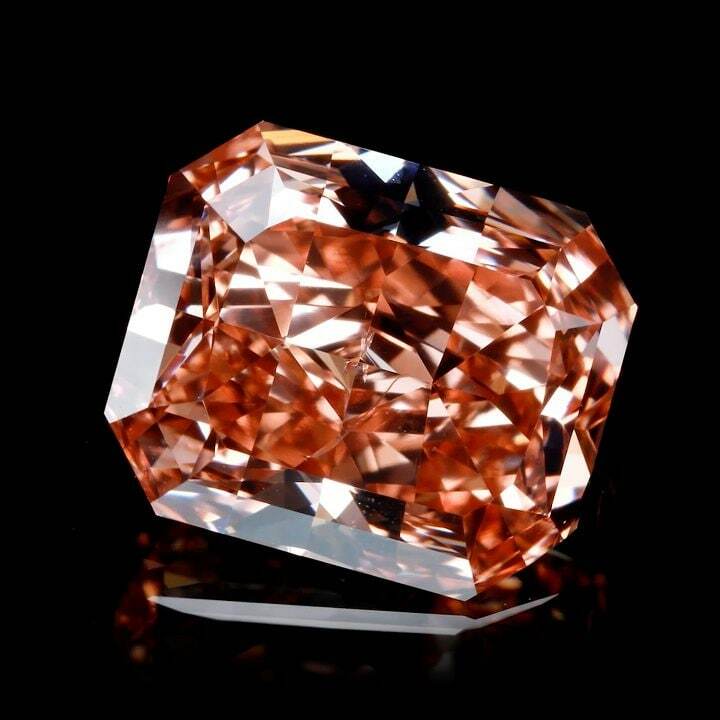 An extraordinarily rare diamond for the combination of its mesmerizing sheer rosé champagne color and exceptional seven carat weight, this gem radiates feelings of warmth, balance and optimism. 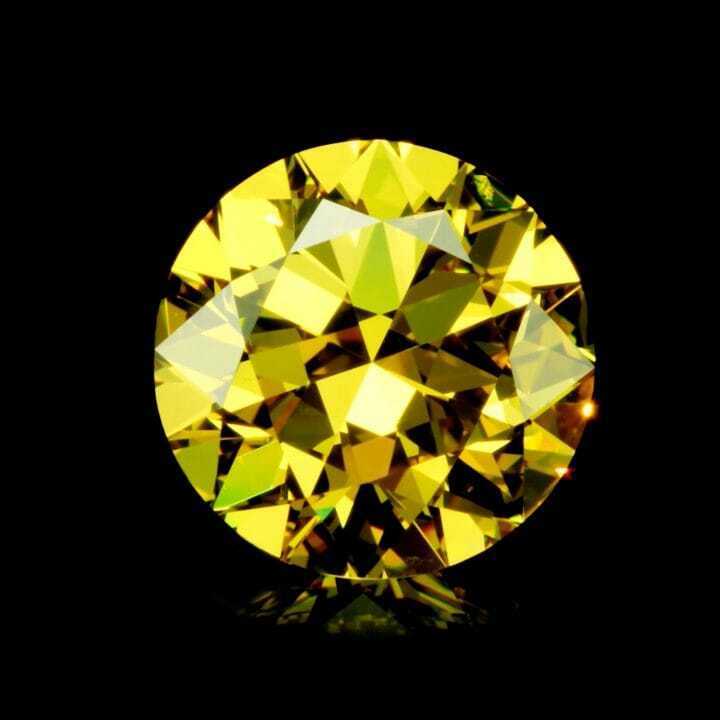 Vibrant and refreshing like the morning dew, this fancy vivid yellowish green diamond of over one carat is Mother Nature's gift. An intricately cut and polished radiant-shaped gemstone which stands amongst the most coveted of diamonds. 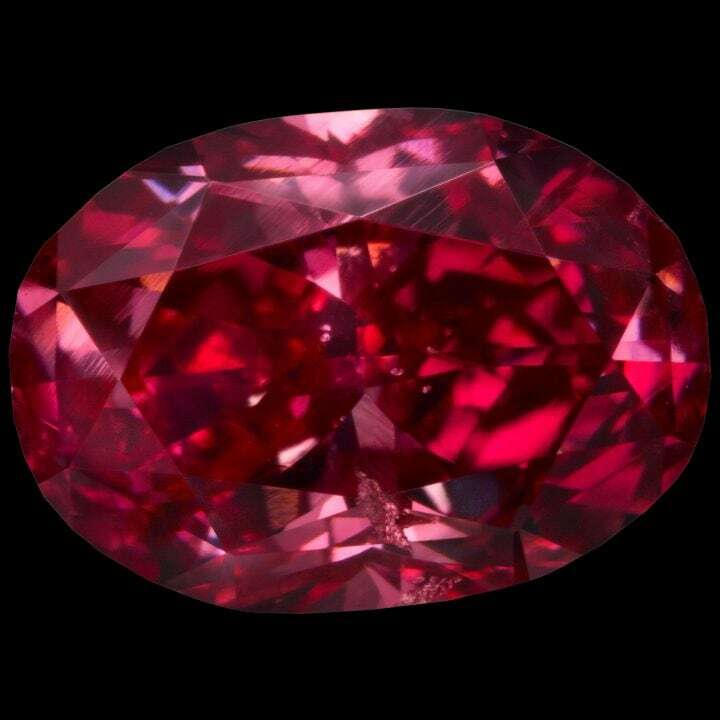 Cut in an oval shape to elongate the stone for a perceived greater weight while still maintaining the numerous facets similar to the round cut, the beauty of this rare brilliant raspberry red diamond is near unrivalled. 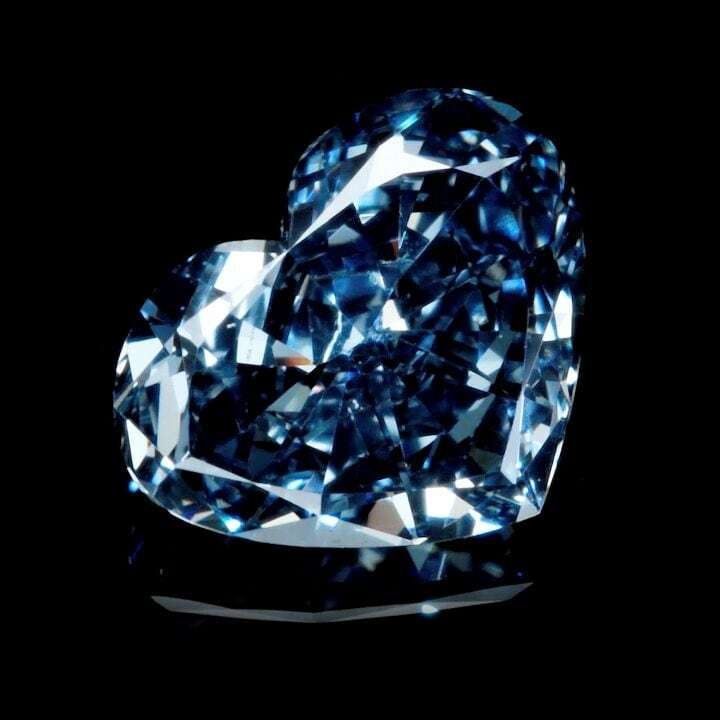 As mysterious as the twilight glow, is this internally flawless Fancy Deep Blue diamond of 1.25 carats. The feminine heart shape matched with an intensive coloration is a perfect stone for a woman of poise, elegance and grace.